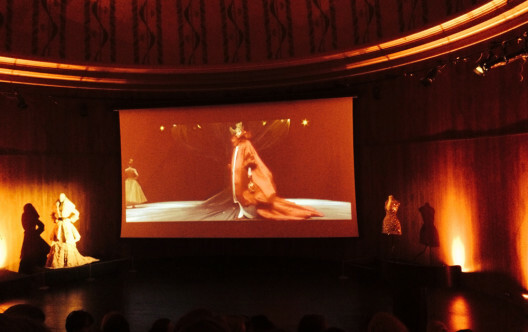 Yesterday morning at London’s Victoria and Albert Museum we were told the delightful news that the V&A will present Alexander McQueen: Savage Beauty in London in spring 2015. This will be the first and largest retrospective of the late designer’s work to be presented in Europe, the exhibition will showcase McQueen’s visionary body of work. Spanning his 1992 MA graduate collection to his unfinished A/W 2010 collection, McQueen’s designs will be presented with the dramatic staging and sense of spectacle synonymous with his runway shows. Originated by the Costume Institute at the Metropolitan Museum of Art in New York, Savage Beauty will be edited and expanded for the V&A’s large exhibition galleries. It will feature 30 additional garments, including some rare early pieces, lent by private individuals and collectors such as Katy England and Annabelle Neilson as well as pieces from the Isabella Blow Collection and the House of Givenchy. A new section will be added to the exhibition, focusing on McQueen’s fledgling development as a designer in London. Other new garments that will be displayed include a red ballet dress from The Girl Who Lived in the Tree (A/W 2008-9) and a white feathered dress from The Horn of Plenty (A/W 2009-10). The original version of Savage Beauty at the Metropolitan Museum of Art, New York in 2011 was organised by the Costume Institute and became one of the Museum’s top 10 most visited exhibitions. The V&A’s presentation of the exhibition is being made possible with the cooperation of Alexander McQueen and will be in partnership with Swarovski, and supported by American Express. So far we are told that over 16,000 visitor tickets have been sold for this event, which will run from March 14th until July 19th 2015 at the Victoria & Albert Museum. So pleased that Alexander McQueen's #SavageBeauty exhibition is coming to London's V&A. Great sponsors of @maccosmetics @americanexpress and @official_swarovski. Can't believe over 16,000 visitor tickets have been sold already! This entry was posted in Latest News and tagged alexander mcqueen, American Express, Metropolitan Museum of Art, Sarah Burton, savage beauty, Swarovski, V&A Museum. Bookmark the permalink.